Q. What is pencil compacting? A. Pencil compacting is a relatively new and innovative way of speeding up the process before landscaping can commence. It is designed to get rid of all air pockets in loose sand when pools have been completely back-filled. Q. Can pencil compacting be done by anyone? A. Definitely not. Too many times we have seen customers take the cheaper option, trying to save a few dollars not realising the devastating consequences. So many things can go wrong if procedures are not followed correctly and the ramifications can be costly e.g. Pools being put out of level, sides bowing and paving sinking. Q. Does a pool requires pencil compacting? A. A pool does not require Pencil Compacting, but then again a pool excavation does not require a bobcat. If you would like to save yourself time and effort there really is no other alternative. Q. Can all pools be pencil compacted? A. Not all pools require compactions there are some companies which provide a cement mixture in the sand which creates a solid base through out the backfill. A. Whether it’s before or after the compaction, the steps and edgebeam will sound hollow. The reason being during the manufacturing process, there are certain areas which require re-enforcing. In order to do this there is fibreglass sheeting which is angled diagonally across the steps and seat areas. Thus creating a void under these areas which can give the illusion there is nothing supporting the step or seat areas. Q. How come I can push a broom handle down around the pool after the compaction is completed. A. Unlike a house pad where you have heavy machinery, plate compactors and steam rollers compressing the surface into a dense form. Using any of this type of equipment near a pool would simply crack the shell. Pencil compacting does not put any pressure on the pool as the probe is placed vertically into the ground and penetrates up to two metres deep. With high water pressure applied any air pockets or loose cavities in the backfill are simply filled in. This does not mean that the ground has been compressed and it is possible for thin poles or broomstick handles to be pushed into the ground. You must remember that prior to paving a plate compactor will be used to compress the top layer of sand to a condensed state. Note: It is important that plate compactors are not to be used near the pool unless it has had either 6 weeks of washing in or had it properly pencil compacted. Q. Is the sand level supposed to be below the edge beam after the compaction? A. There is no exact sand level once the compaction is complete. Generally the ideal level is somewhere within the edge beam area but if it is slightly lower there is no issue. The compaction is designed to remove the cavities and air pockets well below the ground and prior to paving there is a certain amount of preparation which is required by the paving contractor. A plate compactor will compress the top layer of sand to the correct level so if the levels are slightly lower it will be rectified at this point. Q. How soon after my pool is installed can I lay my pavers if I have it Pencil Compacted? A. Technically once the ground dries out a plate compactor can then compress the top layer of sand which will allow you to pave immediately. It is important to liaise with your supervisor or customer liaison officer before paving is laid. The conditions of contract may require you to wait till Handover is performed before any such work can commence, This will allow the pool company to make sure everything is in sound working order before paving is laid. Q. How far out from the pool shell is the sand compacted? A. Between the side wall of the pool and the excavation cut which is generally 300mm - 500mm from the pool shell. Any areas outside the excavation cut will be compressed with a plate compactor prior to paving. Q. I have a pool with an inbuilt safety ledge, is it safe to pencil compact? A. 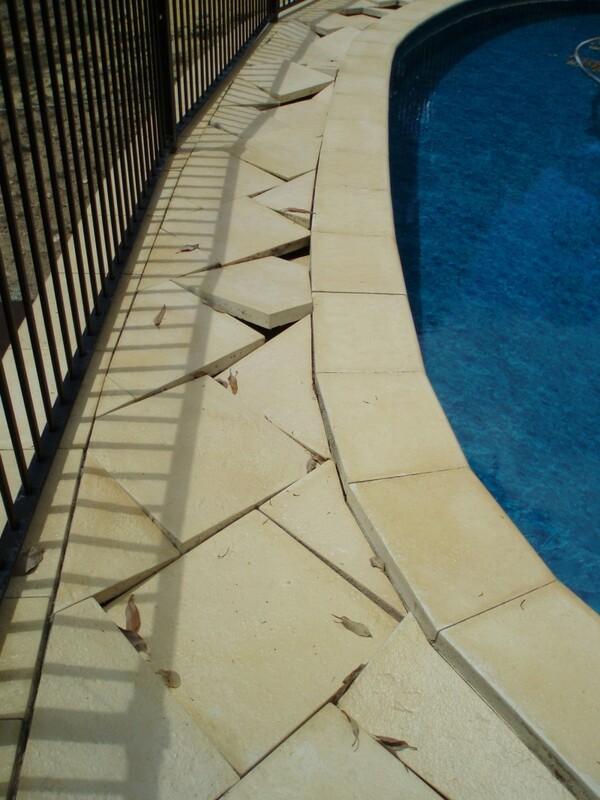 Yes, if you have installed a pool with an inbuilt safety ledge pool it is no problem to have it pencil compacted. There is a little more work involved but we provide you with a full warranty. Q. Is it safe to pencil compact the pool if it is installed in a high water tabled area? A. Although we have done hundreds of pools in high watered tabled areas, we cannot Warrant or guarantee the pool levels (although never been an issue) or the landscaping around the pool, due to the nature of the job and factors which we have no control over. Q. Is it possible for the pencil compaction to affect the level of the swimming pool? A. Although this is extremely rare, if the person does not have experience or has no understanding of pool installations they may affect the level of the pool. Consolidation Enterprises checks the levels of all swimming pools prior to starting and warrants all levels throughout the job. If having your pool compacted by another business please click on this link. Q. What does the Warranty include? A. We cover the works throughout the compaction which includes the level of your pool. Once the job is complete and landscaped we will guarantee the works around the pool wont sink. Q. Will the compaction damage any of the pipe work around the pool? A. Consolidation Enterprises has done thousands of pools and to this date no pipe work has ever been damaged by the compactor. Q. 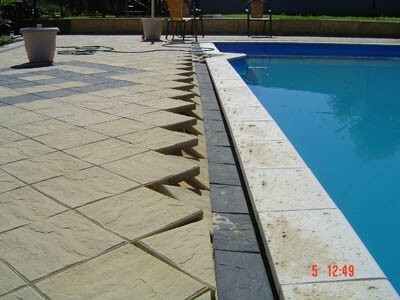 Which way does my paving need to angle from the pool? A. 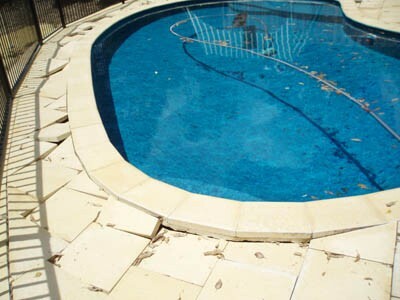 It is very important that your landscaper paves and prepares sufficient drainage away from the pool; failure to do this will cause loss of warranty. Q. Is it important for the company/business compacting my pool to have experience in pool installations? A. 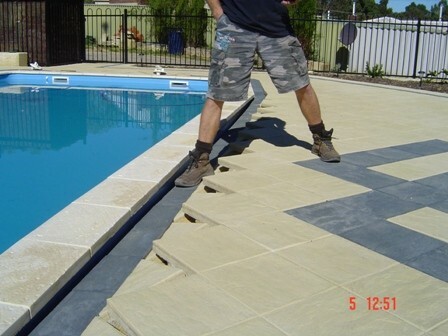 Yes, if the business or contractor does not have any experience in either pool installations or relevelling of pools it is unlikely they will take any responsibility in the the event of problems arising from the compaction. If the contractor or business is genuine they will not have a problem signing our Contractors checklist. Q. If I am retaining around my pool do I require extra compaction? A. Depending on the height of the retaining wall it is quite possible extra compaction is required. Generally if it is a large area it would be better compacting the backfill gradually from the ground up. Our expert staff will beable to advise you of your options when on site. Note: It is very important that when having a pool installed, the ground immediately around the shell is extremely soft. Please be very careful when walking close to the pool as it is possible for you to sink unexpectedly.